Try minted.com for a one-of-a-kind card that reflects your personal style! - Susan Said... WHAT?! With the holiday countdown well underway, this weekend I decided I really needed to get started on my Christmas cards. I send out about 100 each year and just addressing them all can take forever! I used to purchase whatever was available at Hallmark in standard, boxed sets. In the past, Hallmark has had some lovely designs, but they were so impersonal. This year, I discovered minted.com photo cards and I’ll never go back to boring, boxed cards again! If you’re not familiar with the site, minted.com offers thousands of options — not just for holiday cards, but also for party invitations, paper décor, personalized paper, graduation announcements, wedding invitations, thank you notes – and so much more! Even with so many choices, the site is incredibly easy to navigate. 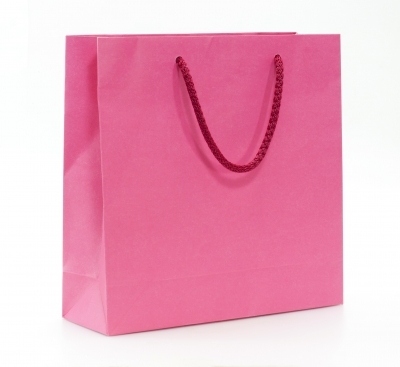 Main headings include holiday gifts, weddings, baby & kids, paperie, art prints and party decorations. Drop down menus take you where you need to go instantly. But the fun part is actually designing your unique piece! Change the shape, photo, color, or patterned back. It’s all up to you! The result? The exact card that you choose to send – not some designer’s idea of what the perfect card should be. The prices are great, too! 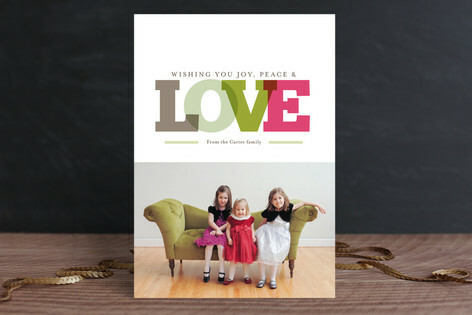 For example, one of my favorites — the Joy, Peace & Love Holiday Photo Card, pictured, will set you back $163. Even with all the customization, this is actually less than you’d spend on 5 boxes, regularly priced at $17 each. Plus you can get $25 off + Free Shipping on all holiday cards. Code: JOY25FS. Buy now, Upload your photo later. This special offer ends Monday, so… what are you waiting for? PHOTO: Used with permission by minted.com. DISCLAIMER: I received the opportunity to order items discussed in this post from minted.com in order to fully evaluate the products. Regardless, I only recommend products or services I use personally and believe will be good for my readers. Ring in Spring with colorful, whimsical jewelry that won't break the bank! Separator image Posted in WOMEN'S FASHION and tagged with Christmas cards 2013, holiday cards 2013, holiday ideas 2013 Christmas, Minted.com holiday photo cards, Susan Conforte McNeill, Susan Said What? !.